Angie possess over 15 years of training experience serving over a thousand clients and servicing over 20 thousand training sessions. 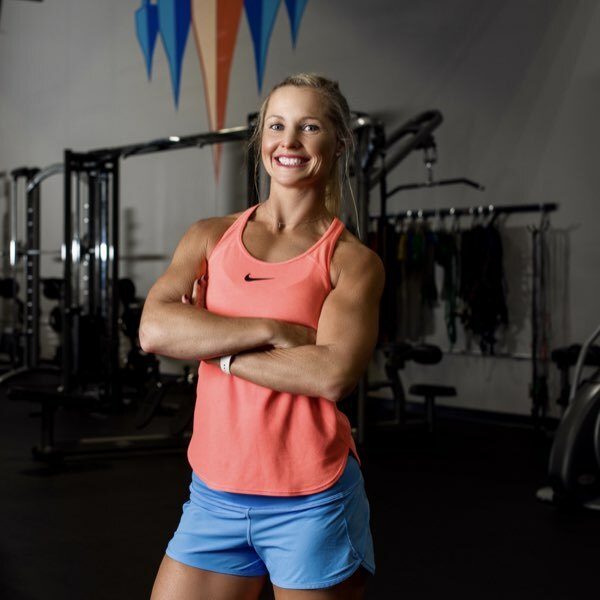 Continuing to stay abreast of health, wellness, and sport education and certifications Angie brings an elevated level of quality to clients and peers at Emerge Fitness. Her specialties include weight loss, core & corrective, disease prevention & correction, as well as pregnancy fitness. Both Angie and her husband Matt have envisioned a community characterized by health, fitness, and freedom from movement limitations. A power couple indeed these two individuals will not rest until they’ve had the opportunity to reach out and provide support to all members of the St. Louis Community in achieving their health, wellness, and sport related goals.